Yesterday, I mentioned that I'd used some of my NibMor Organic Dark Chocolate bars to cook with, and today I wanted to share one of the ways I used them - to make some homemade Dark Chocolate Chunk Brownies! 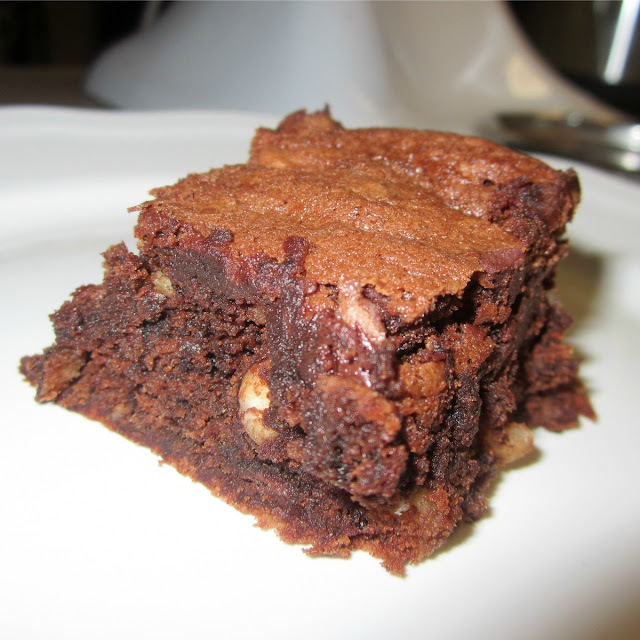 This is a nice, basic brownie recipe that can be modified according to preference and what you have on hand, although I definitely recommend using organic dark chocolate, and Nibmor is a great choice. I use my Kitchen-Aid to keep the mixing simple, but a hand beater or even a bit of elbow grease and a wooden spoon will do the job. So here it is - there is a reason why Brownies are so popular as a spur of the moment treat to bake up. It's because it's so easy. Try them homemade, and you'll wonder why you ever thought you needed to bother with one of those box mixes. 1. Set out butter to come to room temperature. 2. Chop 1 or 2 organic dark chocolate bars into small chunks (I used NibMor's Original Dark Chocolate and Original Superfruit Fruit & Nut). Put the chocolate chunks into a 2 cup measuring cup and add nuts (or more chopped chocolate!) to make a total of 2 cups. Set aside. 3. Preheat oven to 350F. Either grease the botton of an 8" x 8" baking pan, or cut a piece of parchment paper to fit the bottom. 4. In a small bowl, combine flour, salt, baking soda and cocoa. Set aside. 5. In a large mixing bowl, cream together butter, sugar and vanilla. 6. 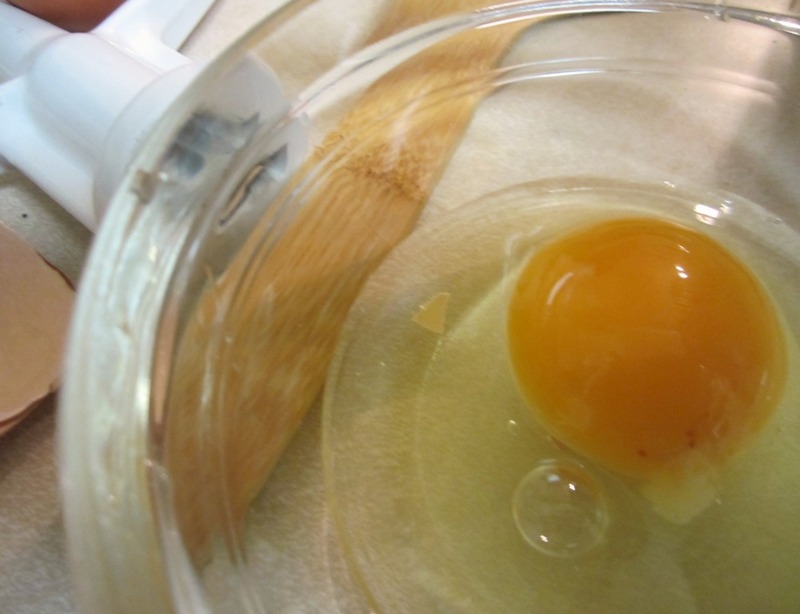 Add eggs, one at a time, mixing well between each. 7. Gradually add in the dry ingredients a bit at a time, mixing well to incorporate. 8. 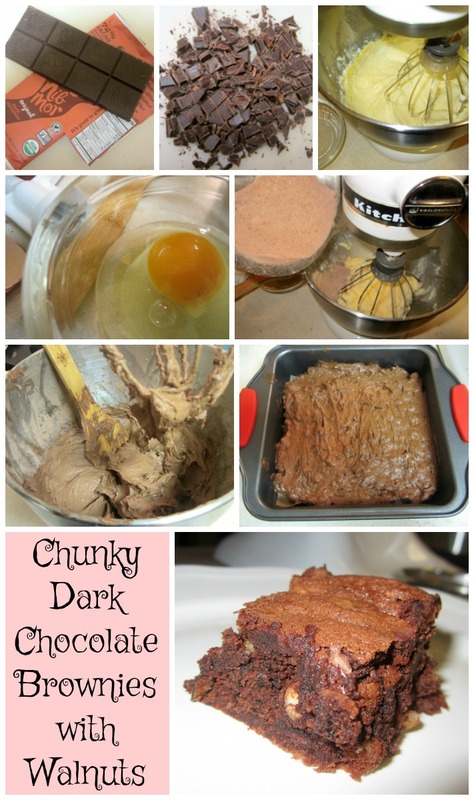 Fold in the chocolate chunks and nuts. 9. 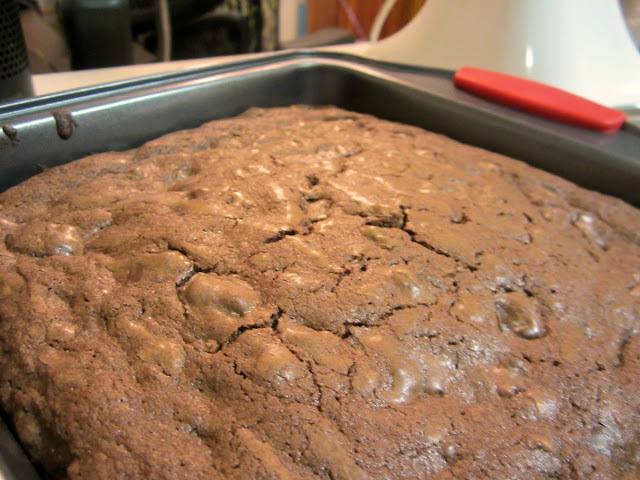 Spread brownie batter evenly into the prepared baking pan. 10. Bake for 20-25 minutes, or until edges just begin to pull away from the side of the pan. 11. Remove to wire rack to cool slightly between turning upside down to remove from pan. Slice into desired portions and enjoy! 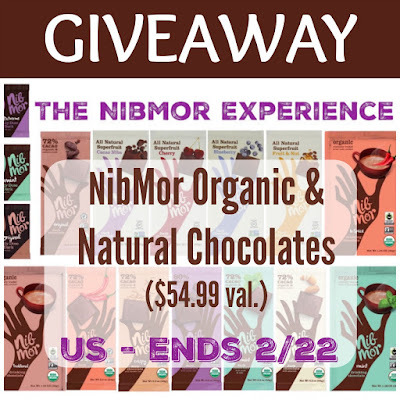 Don't forget to go check out our NibMor Organic Chocolate Experience Giveaway, valued at $54.99! 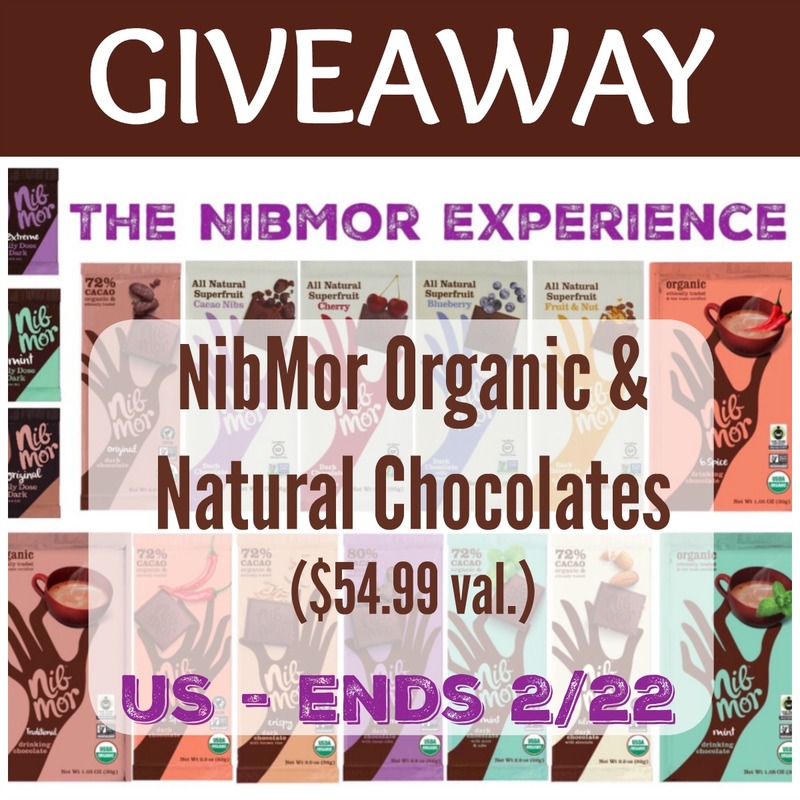 One US winner will receive a collection of every variety of chocolate NibMor makes! The giveaway is open until Feb. 22, 2017, and you don't want to miss out! You can also check out NibMor's website to discover several Valentine's Day special prices they have right now. Yum! Looks delicious! I'm a huge fan of brownies. I'll have to try these out! Thanks for sharing at Together on Tuesdays! Oh man, I'm a HUGE sucker for fudge brownies and yours look so good! This actually reminds me of the brownies I used to eat as a kid. My mom always added walnuts to the box mix :) Just a reminder, don't forget to add links to this week's Fiesta Friday post, as well as Petra's blog and my blog so you can be considered for features next week ;) Thanks for sharing! Happy Fiesta Friday!! 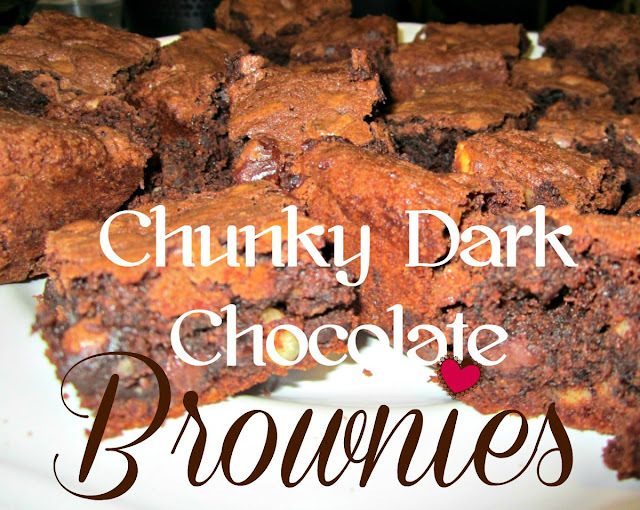 Brownies are always are big hit and a favorite snack or dessert and these look so tasty. 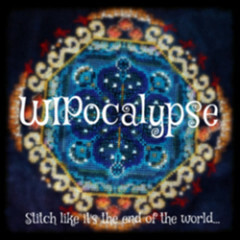 Thanks for sharing your giveaway. Thanks for sharing on Real Food Fridays. 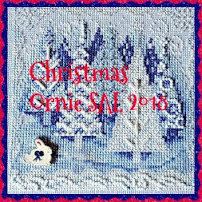 Pinned & tweeted! I am craving for brownies now! These look heavenly! Looks delicious! Thanks for sharing on the What's for Dinner link up! These look amazing! Well, now i'm hungry! #pinning! 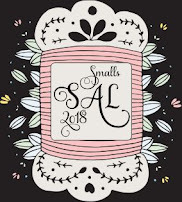 happy Tuesday, from the Tuesday Talk link up! These sound so good! Thanks for sharing your recipe with Funtastic Friday! These look delicious! 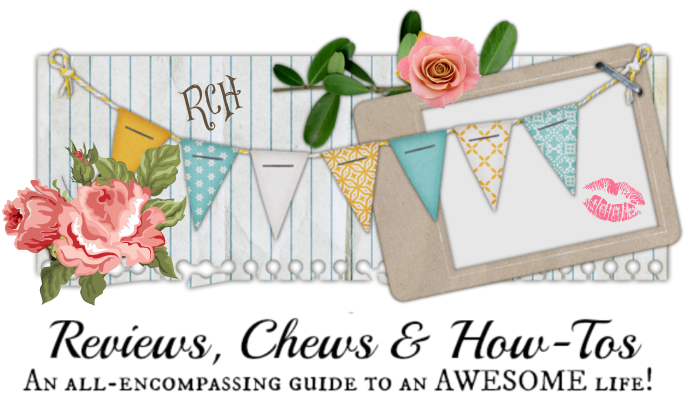 Thank you so much for sharing at Link It Up Wednesday! Thank you for the amazing giveaway Nibmor!! I absolutely lovee chocolate and would lovee to try!! These would go great with a big cup of milk, yum! Thanks for joining the Family Joy Link Party. These look amazing and it doesn't help that I've been craving chocolate all day with none in the house! Thanks so much for sharing on the Homesteader Hop!! Lynda, I haven't made brownies from scratch since I was a kid. Isn't that a sad thing? They are always so much better when made from scratch, and as you stated, it's really not that hard. I've also never added in chocolate chunks, you may have created one of my new favorite recipes. Thank you for featuring the giveaway, this chocolate sounds delicious. I am not a dark chocolate lover, but I think I would have to eat just one! :) They look delish! Thanks for sharing with SYC. Thanks so much for sharing your awesome brownies with us at Full Plate Thursday. Hope you have a great week and come back to see us real soon!